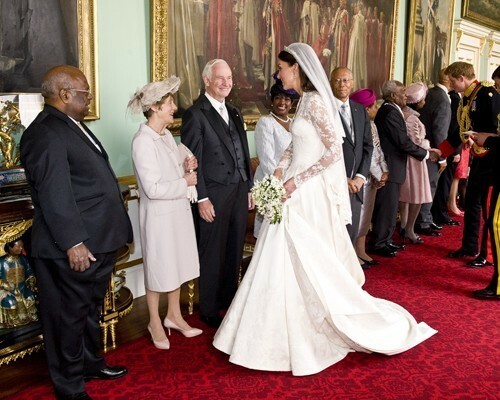 The Royal Wedding : William and Kate. Prince William and Kate Middleton at the Royal Wedding evening reception (April 29).. Wallpaper and background images in the Prince William and Kate Middleton club tagged: princess catherine kate middleton prince william kate william 2011 william and kate wedding evening reception. This Prince William and Kate Middleton photo might contain bridesmaid and maid of honor.